Pretty much all of the competition folks are cooking Waygu briskets these days but that wasn’t always the case. Until a few years ago there wasn’t really a steady supply of Waygu briskets available. 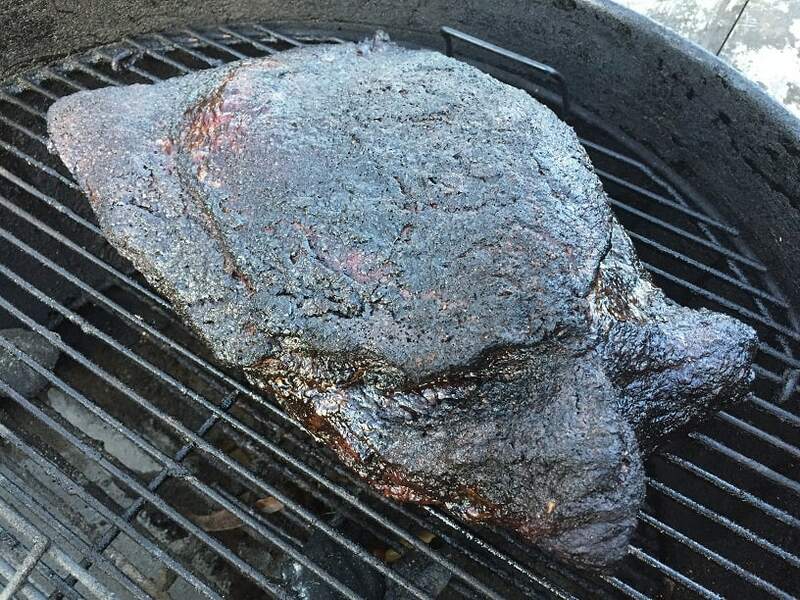 It begs the question, what type of briskets were the champs cooking back then? 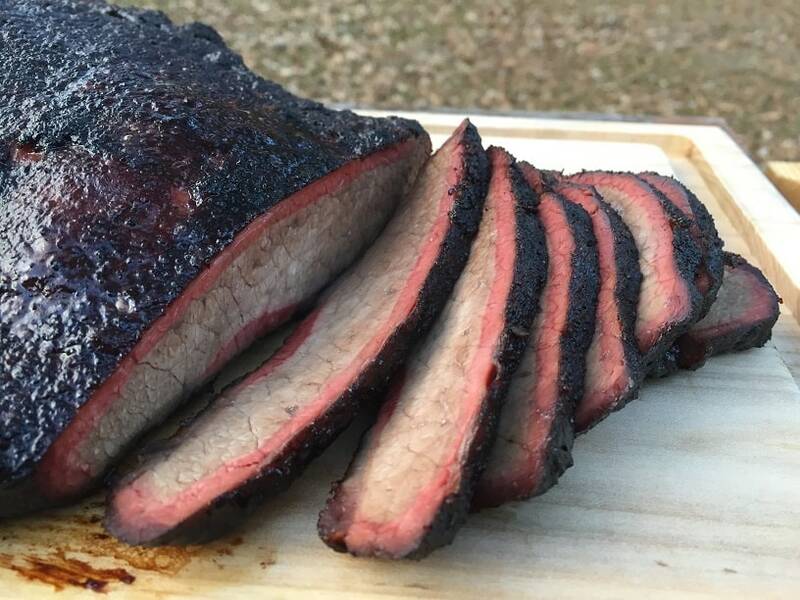 The quick answer is that it was split about 50/50 between folks cooking Prime briskets and Certified Angus Beef (CAB) briskets. The REAL answer is that there isn’t that much difference between CAB and Prime when it comes to brisket. What really mattered was what the teams did with the briskets before they even showed up at the contest. Wet ageing a brisket is the process of storing a brisket in its sealed cyrovac packaging under refrigerated conditions for an extended period of time. During the wet aging process the enzymes in the brisket start to break down and tenderize the meat. You have probably seen or read about the best steak houses serving Dry Aged Steak. This is the same idea but instead of letting the briskets age in the open air (which facilitates moisture loss) they are aged “wet” in the cryovac. Many barbecue teams have a refrigerator dedicated for brisket ageing. They didn’t want to use their normal refrigerator because the door kept getting opened and the temperature would swing around too much. There is a lot of debate on how long you should wet age a brisket. Wet aging is a game of nerves. The longer you can wet age a brisket the more tender it will become. If you let it age too long though it can turn and go rancid. Some folks think that 30 days is optimum for aging briskets while others go for 45. What makes this tricky is that the wet aging process begins as soon as the brisket is put into its packaging at the slaughterhouse. If you go to the grocery and pick up a brisket you usually have no idea how long it has already been wet aging. A week? Ten days? The solution to the problem is to order a case of briskets. The case is marked with the date it was packed which is the same as the kill date of the animals. My solution is to buy my briskets at Costco. 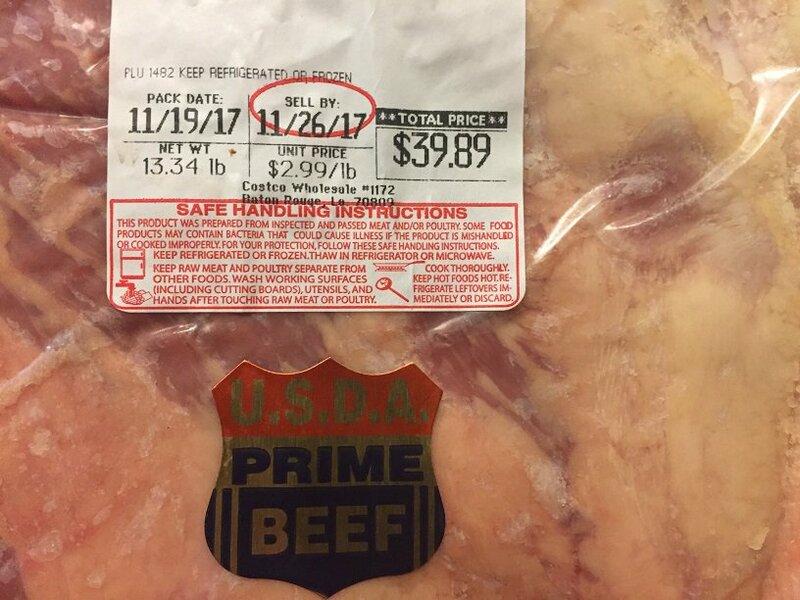 I can pick up a Prime packer for $2.99/lb that is labeled with the actual pack date. This brisket had a pack date of November 19th and it sat on the top shelf of my refrigerator until January 1st for a total wet ageing time of 42 days. After 42 days of ageing I opened up the cryovac and it smelled….just like a brisket ought to smell. You can usually tell in advance if something has gone wrong in the aging process. If the cryovac starts to bubble up or inflate a little while aging then you have some reactions going on that will not turn out well. At that point you either need to cook the brisket as soon as possible or get it into the freezer. If you take the brisket out of the cryovac and it smells nasty then I’m sorry to say that that bad boy has turned on you. Like I said, it can be a game of nerves. I hit this brisket with one of my favorite brisket rubs and smoked it on a kettle with a few splits of cherry. After about 10 hours it had a beautiful bark and a probe slid through the flat like butter. I could tell a significant difference in the tenderness of this brisket compared to my usual product. 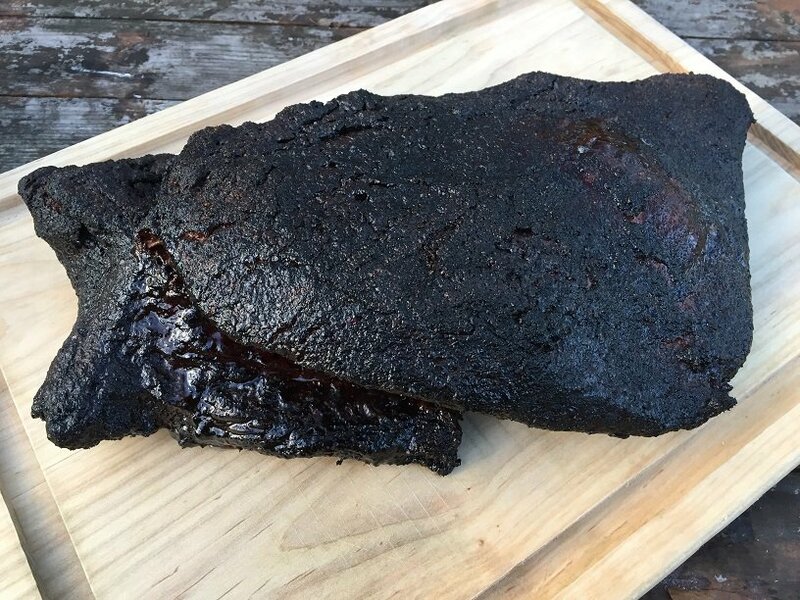 The flavor was pretty much the exact same but, yeah….wet ageing made this one of the most tender briskets that I have ever made. If you have the time and inclination then you should give wet ageing a try. It is an easy and effective barbecue trick to have up your sleeve. Interesting article on wet aging. My question is: Can you wet age, for say 40 days, and then freeze until you are ready to use? Absolutely, as long as the cryovac is still intact. Hi. Does this apply if the brisket frozen, then defrosted and wet aged in the sealed pack? As long as the cryovac seal remains intact and no air has leaked into the packaging then you can use this technique.